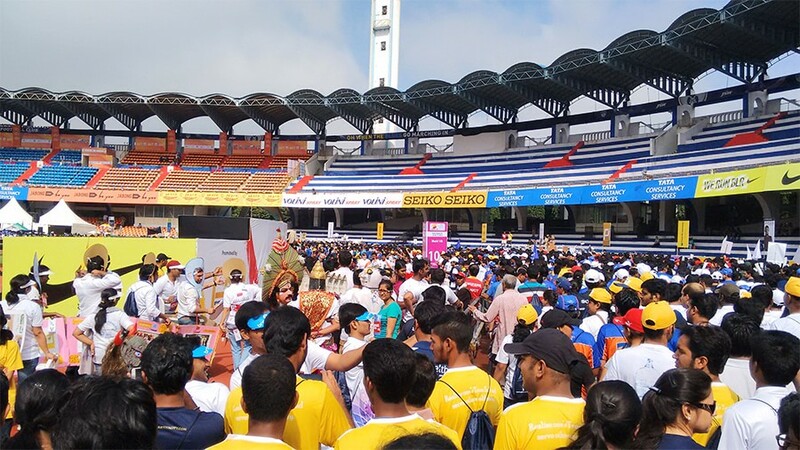 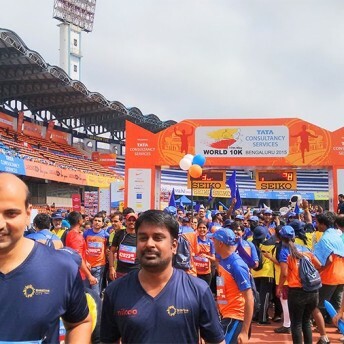 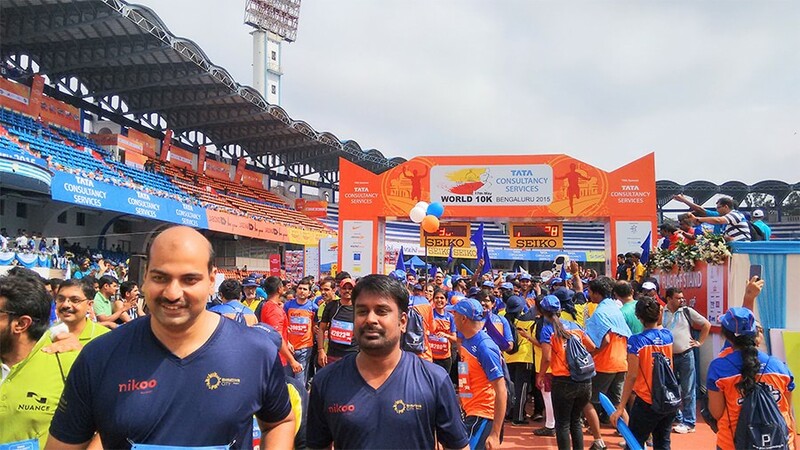 Over 25,000 runners turned up at the Kanteerava Indoor Stadium, with Ethiopian Mosinet Geremew the first to reach the finishing line in 28 min 16 sec. 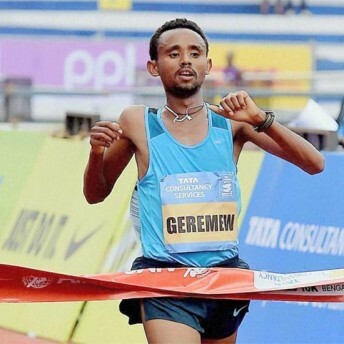 Fellow countryman Fikadu Seboka and Kenyan runner Edwin Kiptoo finished two and four seconds behind Geremew respectively. 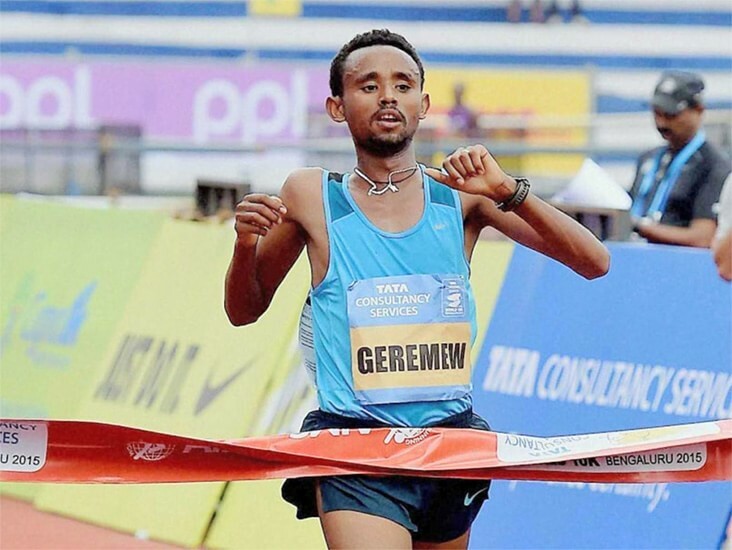 In the men’s Indian elite category, two-time-winner Suresh Kumar was the first to breast the tape at 29 min 49 sec followed by Kheta Ram at 30 mim 40 sec. 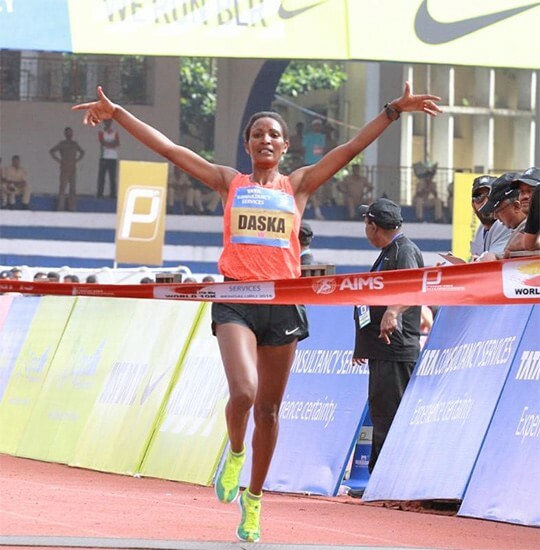 Two time IAAF World Cross Country Championship winner Mamitu Daska of Ethiopia came in first in the women’s international category, clocking 31 min 57 sec with fellow countrywoman Wude Ayalew following at 32 min 10 sec. 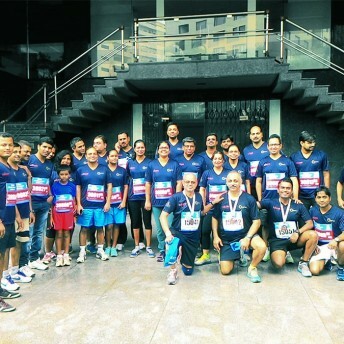 In the Indian category, Surya L and Swati Gadhave came in first and second, running the 10 km distance in 35 min 58 sec and 36sec. 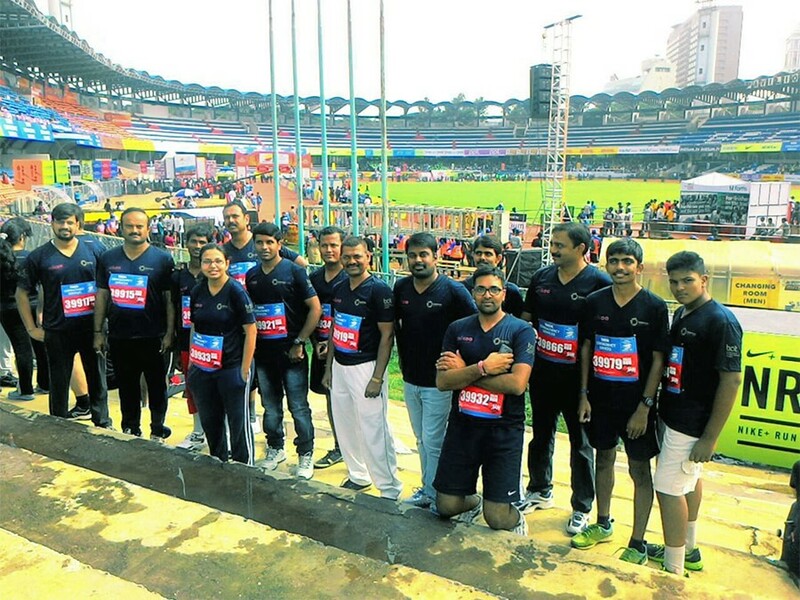 The previous evening’s downpour and its remnants did not deter the running crowd. 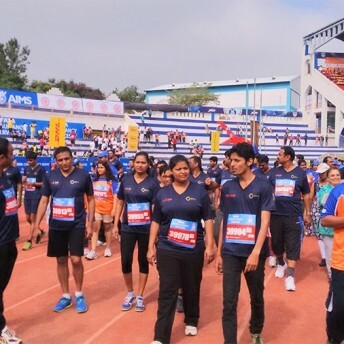 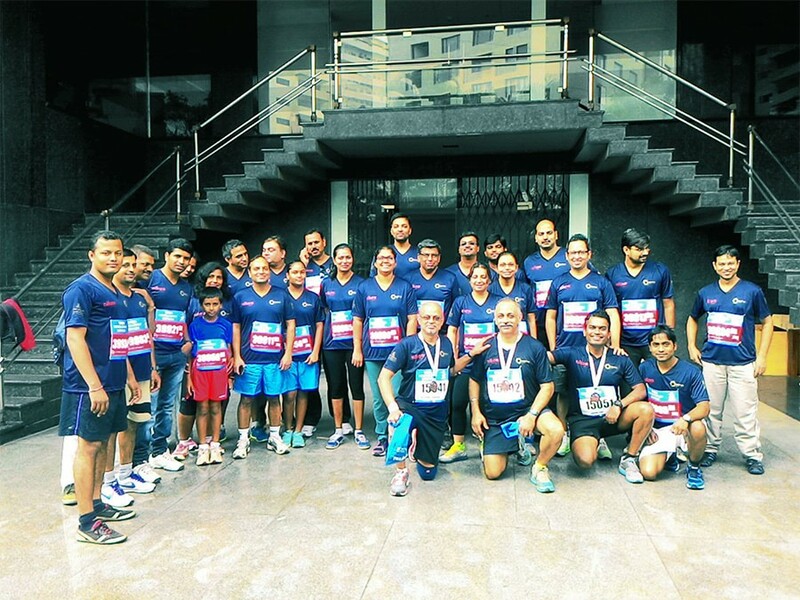 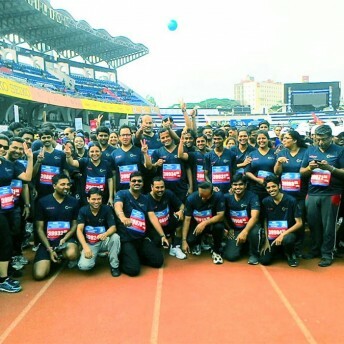 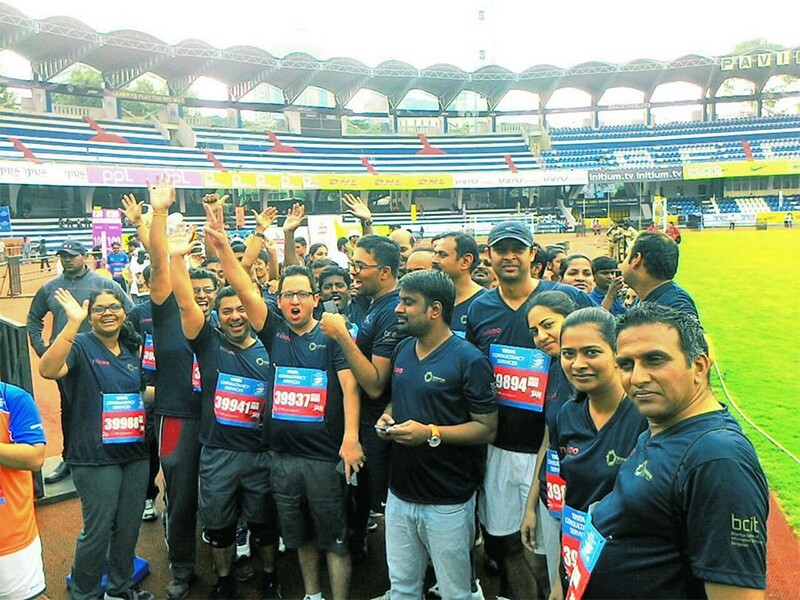 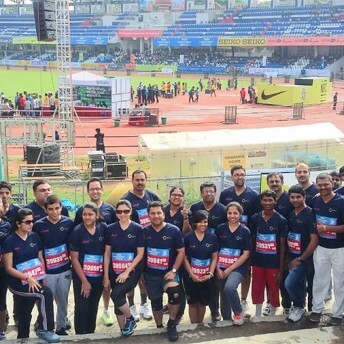 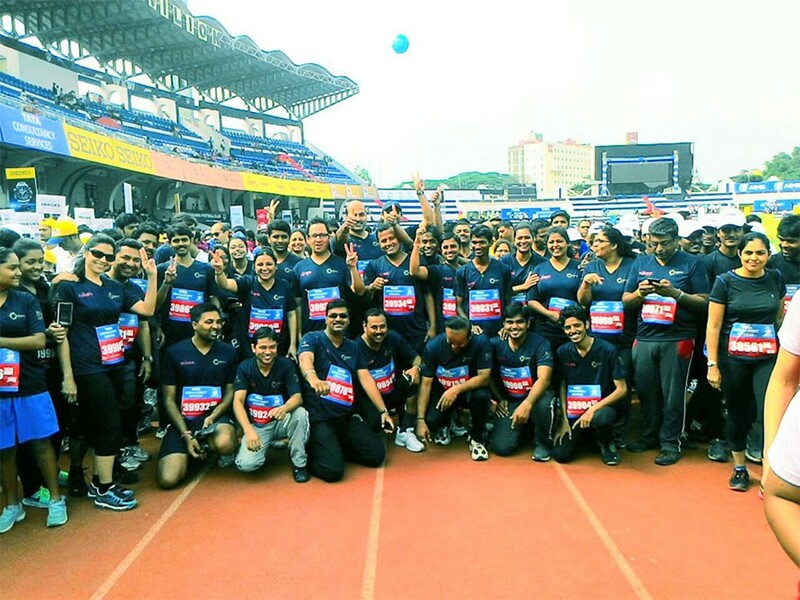 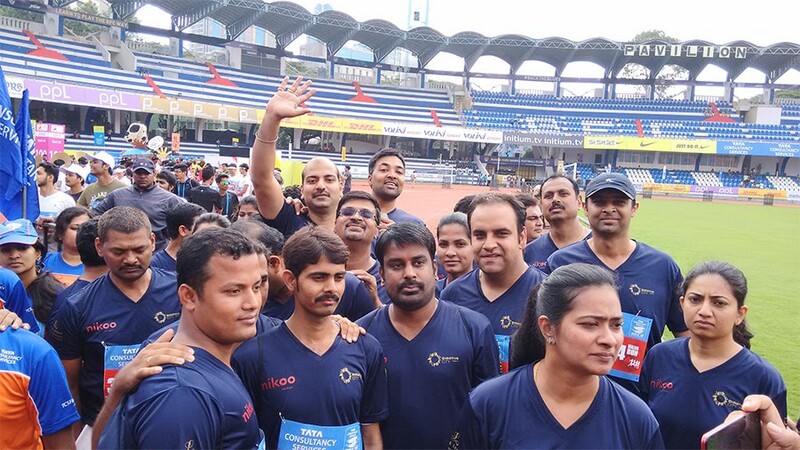 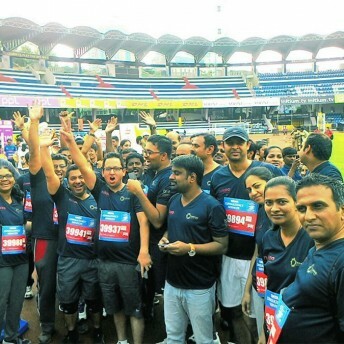 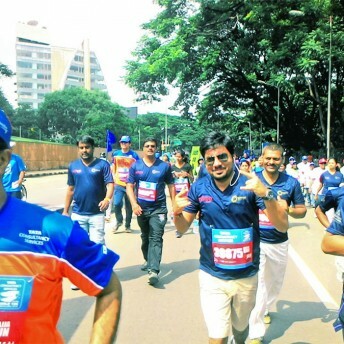 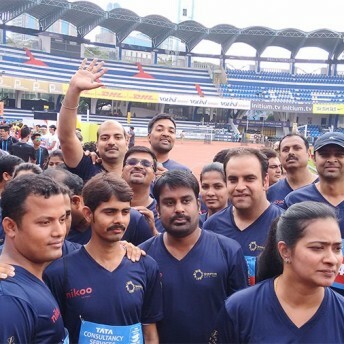 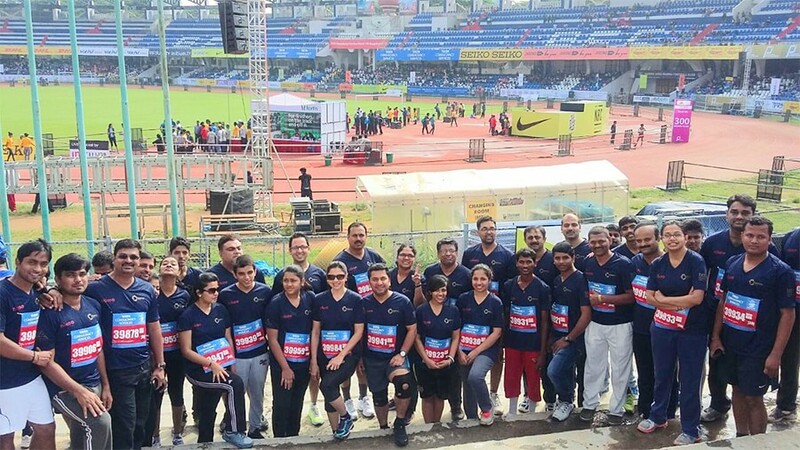 The eighth chapter of the annual race also saw well-known celebrities Rahul Bose, Biocon Chairperson Managing Director Kiran Mazumdar-Shaw, and actor-Aam Admi Party member Gul Panang. 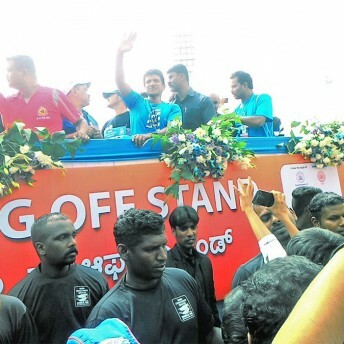 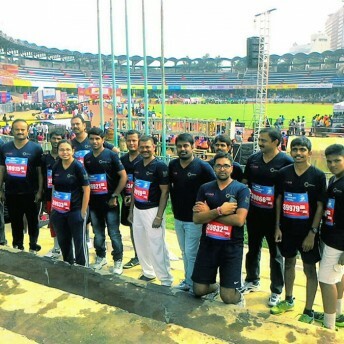 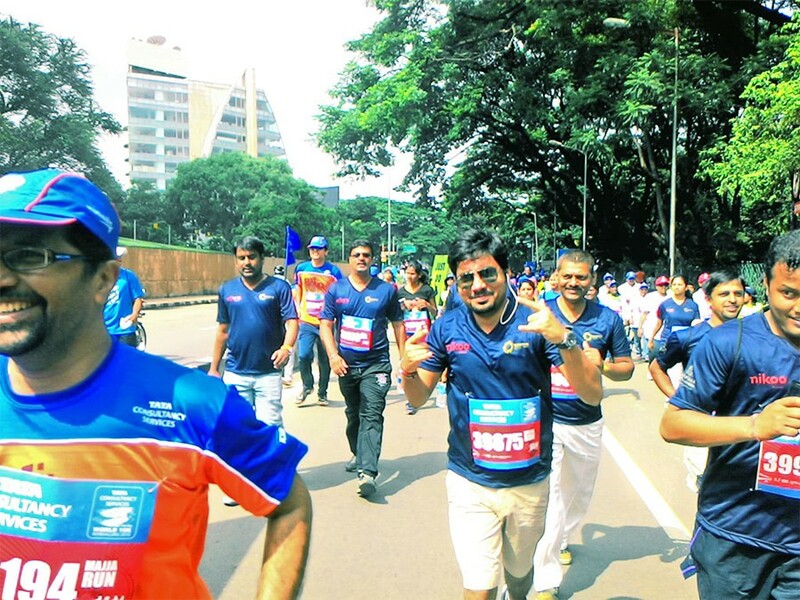 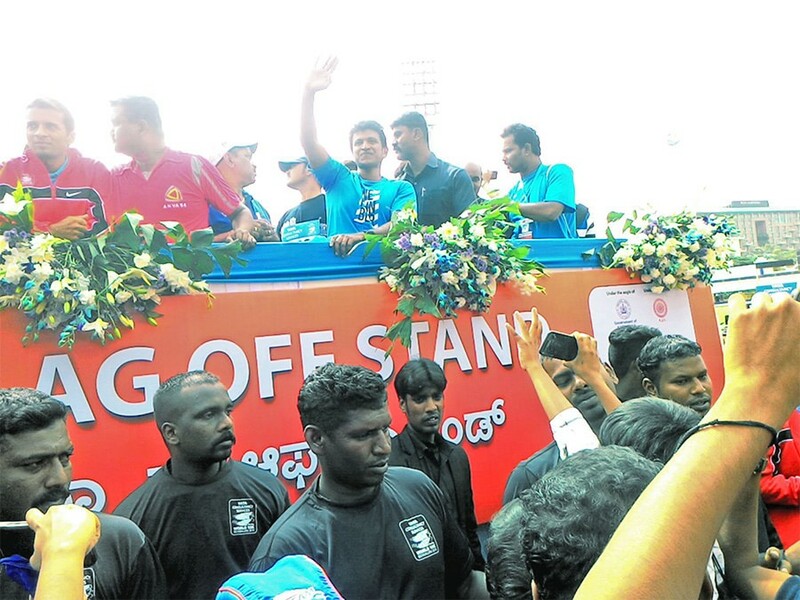 Shiva Rajkumar face of the event flagged off the marathon. 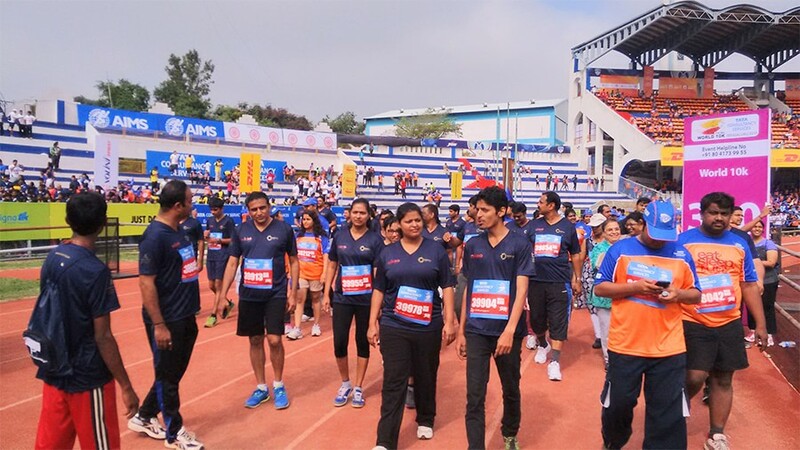 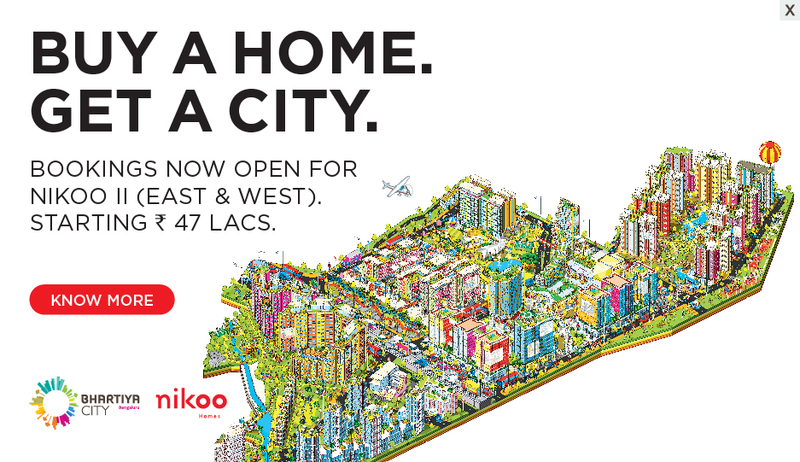 This year too Bhartiya City participation has reinforced the dedication towards healthy and active lifestyle. 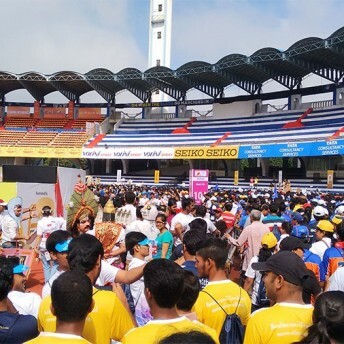 Through participation runners contributed towards the noble causes that the World 10K stands for, over 38 corporates sporting 48 teams and over 200 charity fundraisers and more than 6000 donors running for a cause on a summer day has shown the Bengaluru’s character, energy and enthusiasm of the city.